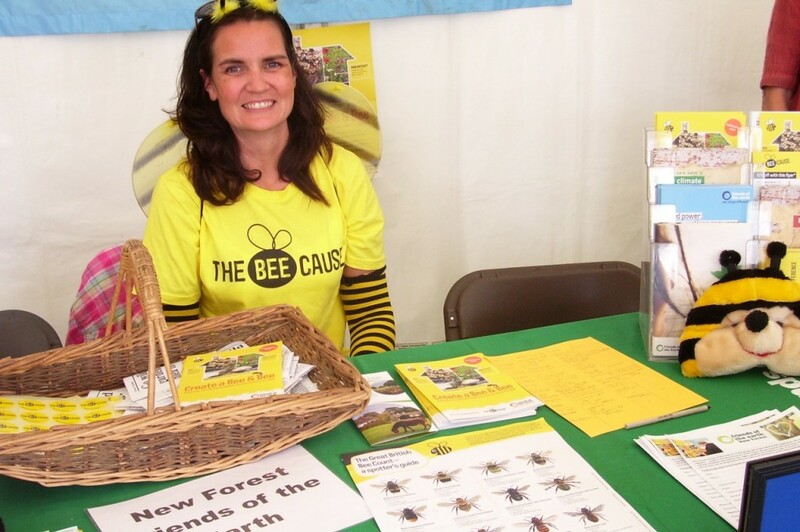 BEES PLEASE: Angie Gilbert of New Forest Friends of Earth donned this outfit for the day to encourage show visitors to add their names to the Bee Cause petition. 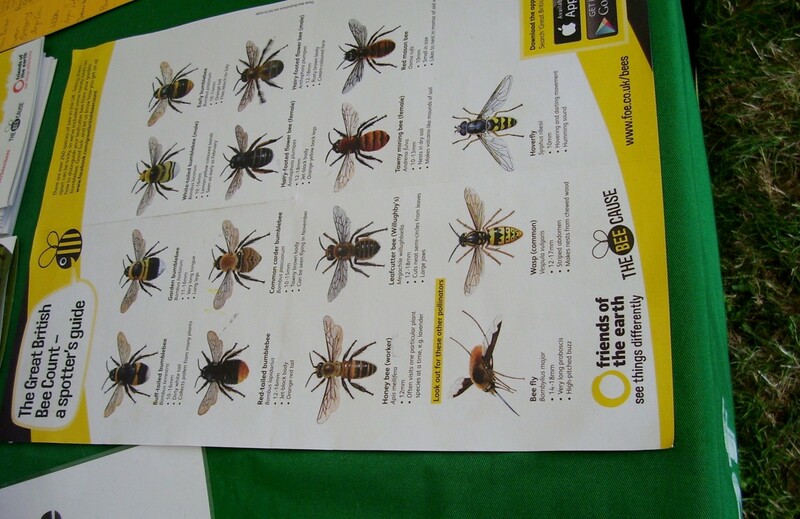 UNDER THREAT: These are some of the 200 species of wild ‘solitary bees’ within the New Forest and the UK and some of these are struggling due to loss of habitat. 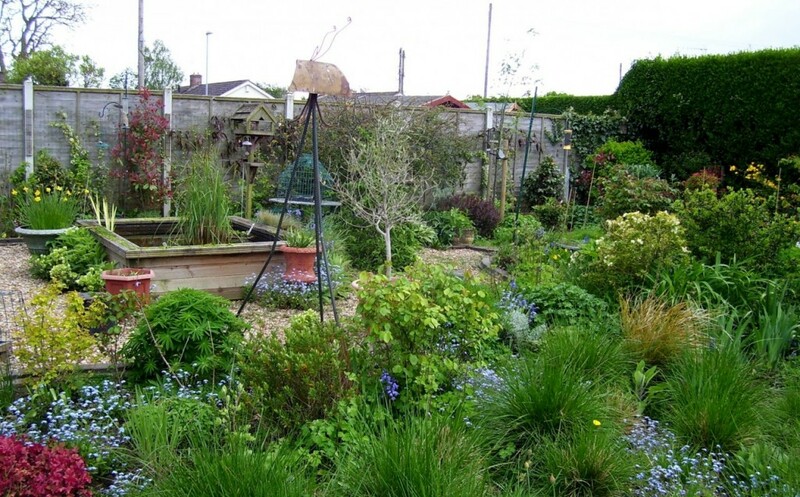 IDEAL HABITAT: This is a bee-friendly wildflower-type garden in Wimborne created by Steve Watts of Purbeck Unique Gardens. AN environmental pressure group has launched a three-pronged strategy for Dorset, Somerset and New Forest residents help reverse the threats facing honey bees. Bees are facing an unprecedented crisis and their future is absolutely crucial considering they are essential as a barometer for biodiversity and to pollinate our crops. As well as having somewhere to stay, they will also need a source of water and plenty of food. Having lost 97 per cent of wildflower-rich meadows in the past 60 years, there are ways of creating bee-friendly spaces and mitigating this decline. Friends of the Earth suggest making individual nests of materials such as dead flowers, old brick walls or logs and hollow stems and then put them in a “hotel” made of an old plastic bottle with lengths of twigs and stems. It will be their Bee and Bee. A finished bee hotel needs to be in a sunny spot, protected from rain and win as far as possible. Bee hotels can get wet so as an alternative, they can be kept in a garden shed or something similar (dry and unheated) from October to February, and put outside again in March. A bee’s breakfast should consist of a year-round supply of trees, hedges, shrubs, food crops and garden plants. Flowers are what they are looking for and the nectar in the flowers is contains the sugar they need for their energy and the pollen contains the protein. Whilst moving between the flowers of the same plant, they pollinate them help their gardens to thrive. Wildflower seed mixes can be bought from garden centres and these can be sown in September or October to mimic the natural cycle when flowers usually drop their seeds or can be done in the spring. Managing a bee-friendly wild meadow-type garden is labour intensive but this is necessary if you genuinely want to help wildlife. Don’t use pesticides as this will be harmful not just to bees, but other wildlife. 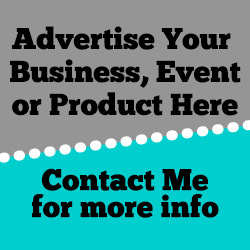 The space needs to be trimmed twice a year – preferably in September/October and March/April. To help the bees and for a continuous food supply throughout the year, you need a wide range of plants that flower at different times of the year from daffodils in the spring to holly in winter. The final piece of the jigsaw is a water supply . Bees collect water over the summer months and carry it back to the hive like they do with pollen. A water supply can be created through filling a tray with rain water and place a few stones large and compact enough to provide a safe place for bees to drink from or try floating old wine corks. Planted my first wild flower garden this year looks great & attracts about 50 bees.if your going to plant anything plant lavender they love it.